← Have You Tried: Making Berry Jam? This post is from one of the 18 interns in the Real Time Farms Food Warrior Summer Internship Program. These interns are collecting data, pictures, and video on the growing practices of our nation’s farms, collecting food artisans’ stories, and documenting farmers markets. We all deserve to know where our food comes from! For many, the arrival of beautiful pink, lavender, and white spring blossoms is a visual agreement from Mother Nature that the cold winter has come to an end and spring is on her way. For me…it means it’s about time for a run to the drug store to stock up on tissues, anti-itch eye drops, and some allergy medication. Each year, my spring mornings begin with a tickle in my nose. You know, that tickle that tells you you’re about to sneeze, and anybody standing within two feet of you better put on their parkas, lest they be bathed in your spray. I’ve cycled through every allergy medication possible – Zyrtec, Benadryl, Allegra – you name it, I’ve tried it. With every new pill that I swallow, so do I swallow my hopes that my constant itchy throat and eyes will go away. I’ve got good news though for my fellow prisoners of pollen, no matter what season you tend to suffer most from allergies. I’ve been enlightened to the magic wonders that pollen can have in treating our allergies! It seems that all along the enemy was actually the friend! 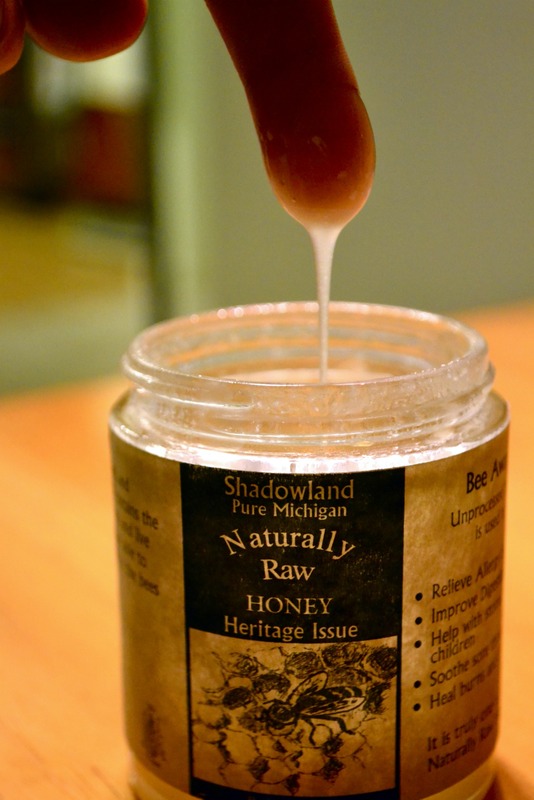 On a recent visit to the Sara Hardy Farmers Market in Traverse City, Michigan, I was asking Shadowland Honey about the different varieties of honey they had to offer. 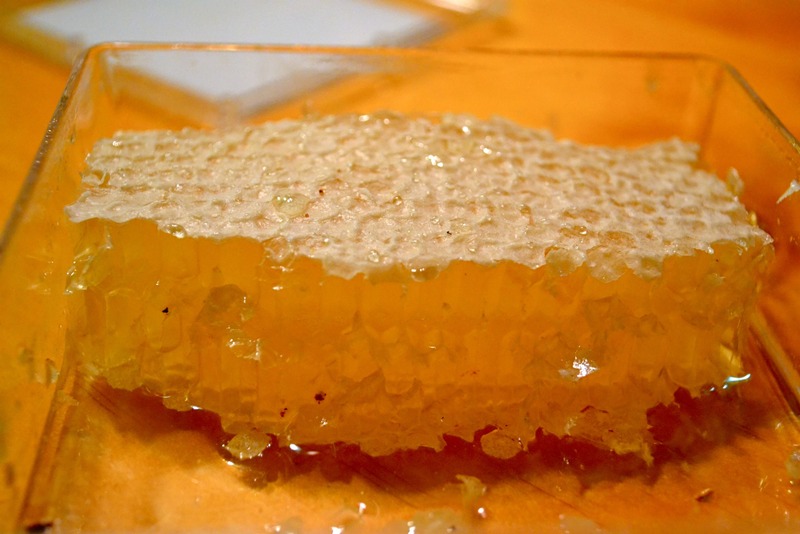 When I asked the difference between raw and processed honey, I assumed I’d get an, “Oh it’s just a taste thing, some people prefer the taste and crystalline texture of the raw.” And while that answer was, in part true, the second part of the answer sent me lunging for the honey like Winnie the Pooh to a honeycomb. I learned that raw honey is honey that is still in its natural state; it is unfiltered and unprocessed. What this means for us eaters of raw honey is that we are ingesting tiny bits of pollen, propolis (the resin mixture that bees use to seal up their hives), small pieces of honeycomb, and living enzymes with every sweet spoonful we lather onto our toast. The consumption of these different compounds works as a sort of vaccination for your body. What happens when you breathe in pollen through your nose is that your body has an allergic reaction to pollen (your runny nose, itchy throat, etc). In reality, your body is simply mistaking the pollen caught in your nose for dangerous dust mites or fungal spores. The release of histamine, which causes irritation and inflammation of your skin, is the body’s natural reaction to the “invaders,” or in this case the pollen. Eating a bit of raw honey every day is similar to vaccination in that you are slowly familiarizing your body with the presence of the pollen. The more familiar your body gets with the presence of the pollen, the less likely the chances are that it will launch an attack the pollen. 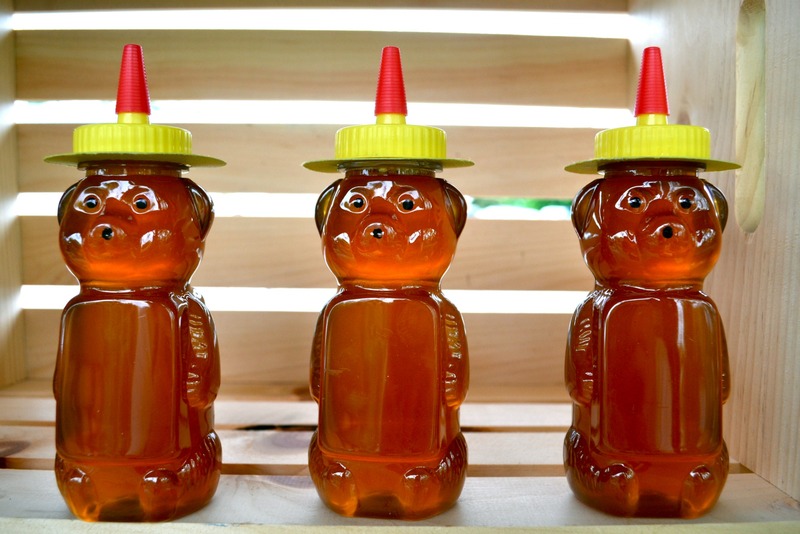 In order for the honey treatment to be effective, however, the honey has to be local from your area. This makes complete sense if we think about it…the bees that make the pollen should be using pollen from flowers that pollinate around your area. This way, the pollen spores from those wildflowers that are found all over your neighborhood end up in your honey! Another thing to note about this allergy treatment is that it will really only work for those who are allergic to amphipilous plants, or those that are pollinated by both wind and insects. Again, another logical limit to the treatment since in order to make honey, the bees must pollinate plants! If you’re allergic to grass, it’s not likely that a local honey treatment will help you since grasses aren’t insect pollinated and thus there won’t be any honey made from grass pollen. This entry was posted in Food Warrior Interns, In the Pantry (food artisans) and tagged allergies, food warrior interns, honey, honeycomb, jules botham, local honey, raw honey, Real Time Farms, shadowland honey. Bookmark the permalink. very interesting, I have heard of this before and buy local honey from my farmers market. I did not know though that it should be raw even though that makes sense.